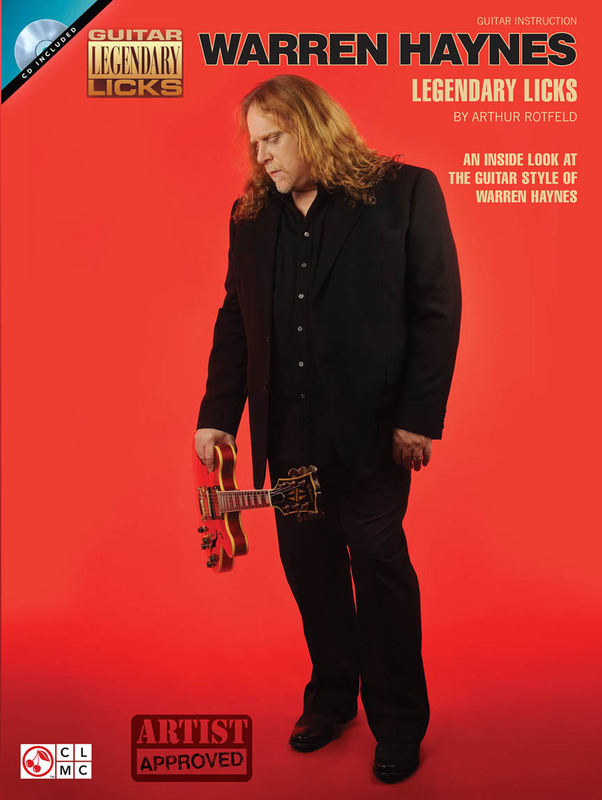 This Legendary Licks volume presents the music of guitar hero Warren Haynes. It includes note-for-note transcriptions from 13 of his songs; detailed performance notes on how to play licks, fills, riffs and solos; an enhanced CD that includes recorded demonstrations as well as software for both Mac and PCs that lets users adjust the tempo without changing the pitch; gear setup instructions so you can match his sound as closely as possible; and more! Songs include: Banks of the Deep End • Beautifully Broken • Man in Motion • Rocking Horse • Statesboro Blues • Thorazine Shuffle • and more. GUITAR ONE PRESENTS ACOUSTIC INSTRUMENTALISTS. PLAY IT LIKE IT IS. 21 PEZZI STRUMENTALI PER SOLA CHITARRA. Note-for-note tab transcriptions for 21 acoustic tunes from artists such as Chet Atkins, Jorma Kaukonen, Leo Kottke, Adrian Legg, Paul Simon, James Taylor and others. Songs include: Anji • Anu • Brahms Lullaby • Classical Gas • Embryonic Journey • Genesis • Greensleeves • Hey Nineteen • Jesu, Joy of Man's Desiring • Lady Madonna • Modoc • Yankee Doodle Dixie • and more. LIBRO METODO DI MUSICA ROCK, CON CD. This book/CD pack will teach you to play 13 signature Mayer tunes, including: Back to You • Blues Intro • City Love • Come Back to Bed • Come When I Call • Covered in Rain • Good Love Is on the Way • Gravity • Human Nature • I Don't Need No Doctor • Neon • Vultures • Who Did You Think I Was. 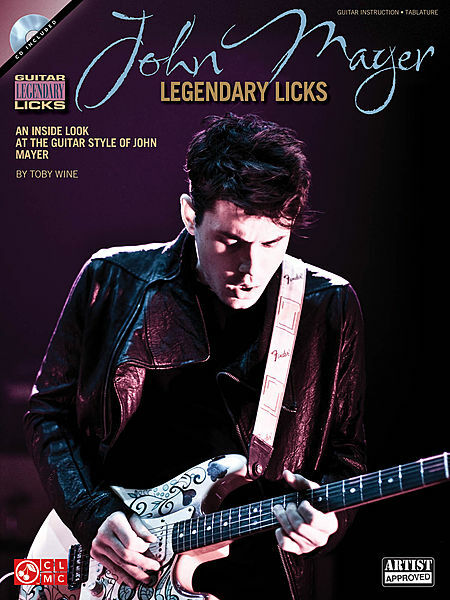 The book contains note-for-note transcriptions and detailed performance notes on how to play the licks, fills, riffs, ad solos. The CD includes recorded demonstrations as well as slowed-down versions for the fast and tricky passages. JOE BONAMASSA, DUST BOWL. SHEET MUSIC BOOK WITH GUITAR TABLATURE. Bonamassa's ninth studio CD hit the ground running, debuting atop the Billboard Blues Chart and at #37 on the Top 200. Premier Guitar calls it, “A blues-rock achievement ... his best record to date.” Here are all 12 tunes from the lauded disc, in artist-approved notes & tab transcriptions: Includes an intro. Artist-approved, note-for-note transcriptions in standard notation and tab for a dozen of the best from this formidable blues rocker. Includes: Asking Around for You - The Ballad of John Henry - Ballpeen Hammer - Black Night - Bridge to Better Days - Dirt in My Pocket - The Great Flood - Last Kiss - Lonesome Road Blues - One of These Days - Sloe Gin - So Many Roads, So Many Trains. Joe Bonamassa performs at the Kravis Center on Tuesday. Guitarist Joe Bonamassa doesn’t just play the blues - he is a student of the form. For example, here’s how he describes Rory Gallagher, an Irish blues guitarist who never got nearly as well-known in the United States as he did in Europe: "Think of Rory like this - what you see is what you get. He comes out in a flannel shirt, blue jeans, playing a battered old Strat. He walks up to the mic, and he just plays, and it’s honest, the music’s honest." Bonamassa, who’ll be performing at the Kravis Center on Tuesday, is not just interested in knowing the blues. He wants to pass along his knowledge - so he started Keeping the Blues Alive, where he visits with groups of middle-school and high-school students to keep the fire of the blues burning. "That’s the whole point, how do we get through the next hundred years?" Bonamassa said in a telephone interview. "Blues is 100 years old, essentially, so how do we get to the next hundred years? We get the kids interested in it. A lot of blues guys tend to play the victim - that the music doesn’t get covered by the media, it gets ignored. But at the end of the day, you have to be proactive about it." So Bonamassa will be taking his love of the blues to the kids - including a session before his show at the Kravis. "As it happens, it’s about self-preservation for the blues, but it’s also about giving a little back to the community," he said. "I get to do this nightly, playing music and a couple thousand people show up, so I feel indebted to the community." These days, it’s just one more thing on a busy slate for Bonamassa - he’s just wrapped up a pair of albums and tours with the supergroup Black Country Communion, which also features bassist/vocalist Glenn Hughes, drummer Jason Bonham and keyboardist Derek Sherinian; he’s worked on an album with singer/songwriter Beth Hart that he calls the project he’s most proud of; and he’s touring in support ofDust Bowl, his latest solo record. Bonamassa set out to make Dust Bowl a much more American album than what he’s done before - he said his guitar work was closer to that of Duane Eddy, the great surf guitarist of the 1950s and ’60s, than anyone else. He also had the chance to work with singer/songwriter John Hiatt and Vince Gill, a country legend who also happens to be a highly respected guitarist in his own right. Bonamassa first met Gill at the Crossroads Guitar Festival just outside Chicago in the summer of 2010, and from there, it just took off. "I’m not one to go up to famous people, I don’t enjoy the experience, it’s very daunting to me. I probably wouldn’t have approached him, but he approached me, and it’s Vince freakin’ Gill! Two months later we’re doing a session with John Hiatt, and then he’s on stage with me at the Beacon Theater in New York. My Rolodex has changed a bit in the last 10 years - used to be my mom and dad and a couple of friends!" As Joe Bonamassa grows his reputation as one of the world’s greatest guitar players, he is also evolving into a charismatic blues-rock star and singer-songwriter of stylistic depth and emotional resonance. His ability to connect with live concert audiences is transformational, and his new album, Black Rock, brings that energy to his recorded music more powerfully than ever before. The tenth solo album and eighth studio release of his career - as well as his fifth consecutive with producer Kevin Shirley (Led Zeppelin, Black Crowes, etc.) - the disc adds an enlivening dose of ‘world’ vibes to Bonamassa’s virtuoso mix of ‘60s-era British blues-rock (à la Beck and Clapton) and roots-influenced Delta sounds. The album was recorded at Black Rock Studios in Santorini, Greece. "With this album, we wanted to explore a ‘world’ feeling, and this was the inspiration behind going to record in Greece and using some of the best Greek musicians to add a little flavor to a couple of the tracks. But it’s by no means a ‘world’ album. We wanted Joe’s usual youthful and energetic tones to play alongside the worldly vibes of the Greek bouzouki and clarino," said Shirley. Bonamassa adds, "It was the kind of record Kevin and I wanted to make. We needed to rock again a bit like on my first album. It’s youthful, like going back to your childhood." Throughout, Bonamassa is again backed by the stellar players Carmine Rojas (bass), Anton Fig, Bogie Bowles (both on drums) and Rick Melick (keyboards). 2009 was a big year for Bonamassa. He was awarded the Breakthrough Artist of the Year Award at the U.K.’s prestigious Classic Rock Roll of Honour Awards and Classic Rock magazine has said, "They’re calling him the future of blues, but they’re wrong - Joe Bonamassa is the present; so fresh and of his time that he almost defines it." He was also named Best Blues Guitarist in Guitar Player Magazine’s 2009 Readers’ Choice Awards for the third consecutive year. Guitar Player writer Matt Blackett has said, "He’s an old soul, and that comes through in his bends, vibrato, singing voice, and note choices, which - which each passing year - get more restrained and refined." In May ’09, he played to a sold out crowd at London’s Royal Albert Hall, arguably the most prestigious concert venue in the world. During the show, Bonamassa’s hero, Eric Clapton, joined him on stage for a joint-performance of Clapton’s hit "Further On Up The Road." London’s The Independent said about the show, "The man has arrived, and there’s no turning back." Shortly after, Bonamassa released a 2-DVD live set " Joe Bonamassa - Live From The Royal Albert Hall - which captures the night in full. Guitar Edge gave it five stars and also said, "It is the wallop of his emotional expression, fueled by the rocking energy he derives from that trans-Atlantic connection and driven by his devastating technical ability, that elevates him about his peers and makes him a certifiable blues guitar hero and the face of his blues generation." Last year also coincided with Bonamassa’s twentieth year as a professional musician, an extraordinary timeline for a young artist just into his ’30s. A child prodigy, Bonamassa was finessing Stevie Ray Vaughan licks when he was seven and by the time he was ten, had caught B.B. King’s ear. After first hearing him play, King said, "This kid’s potential is unbelievable. He hasn’t even begun to scratch the surface. He’s one of a kind." By age 12, Bonamassa was opening shows for the blues icon and went on to tour with venerable acts including Buddy Guy, Foreigner, Robert Cray, Stephen Stills, Joe Cocker and Gregg Allman. Bonamassa reunites with King for a duet on Black Rock. The song they perform together is a rendition of the Willie Nelson-penned song, "Night Life," which appeared on King’s 1967 album Blues Is King. Shirley says about the experience, "This is a rollicking Stonesy-vibe version of the Willie Nelson song on which B.B. duets with Joe, both vocally and on his famous Lucille guitar. What a joy and an honor to work with the legend who is possibly the pivot point and unifying musician between blues and rock." Other tracks appearing on Black Rock include Jeff Beck’s "Spanish Boots," a lively version of Leonard Cohen’s poetic "Bird On A Wire," Otis Rush’s "Three Times A Fool," as well as Bobby Parker’s "Steal Your Heart Away," a song recommended by Robert Plant, who said Led Zeppelin rehearsed it in their earliest days. Also, Blind Boy Fuller’s "Baby, You Gotta Change Your Mind," John Hiatt’s "I Know A Place," and James Clark’s "Look Over Yonder’s Wall," as well as the Bonamassa-penned originals "When The Fire Hits The Sea," "Wandering Earth,"
"Athens To Athens," and "Blue and Evil." Bonamassa’s recording career began in the early ’90s with Bloodline, a hard-charging rock-blues group also featuring Robby Krieger’s son Waylon and Miles Davis’ son Erin. His 2000 solo debut, A New Day Yesterday, was produced by the legendary Tom Dowd; Bonamassa’s rendering of the title track, originally a Jethro Tull hit, was called, "a jaw-dropping performance" by allmusic.com. His last studio album, The Ballad Of John Henry - with no shortage of its own jaw-dropping moments - debuted at #1 on the Billboard blues chart and stayed there for six months. The album marks a more confessional approach to songcraft than he’s previously employed. "Making the first half of the album," Bonamassa says, "I was in the happiest place I’d ever been in my life. The second half found me in completely the opposite state. I’ve come to the conclusion that experience makes for better art. I had more to say, and it’s the first time I’ve personally opened up the book on my life." Previous studio sets include 2007’s Sloe Gin, which debuted at #1 on Billboard’s blues chart and received a 2008 nod for Album Of The Year from the Classic Rock Roll Of Honour Awards. Sloe Gin careens between heavy electric blues-rockers and acoustic, folk-etched cuts in a flow that Bonamassa says was partly inspired by Rod Stewart’s classic 1969 solo debut LP. Modern Guitars Magazine wrote, "If calling Sloe Gin a Bonamassa sampler isn’t graphic enough, think of the album as a musical buffet in which unrelated entrees share a single trait: they taste good. "The Boston Phoenix called it, "an elegant and brawny guitar-hero album." In 2008, he released the 2-CD set Live From Nowhere In Particular, which Guitar Player said, "finds Joe playing with soul, intensity and savage tones." 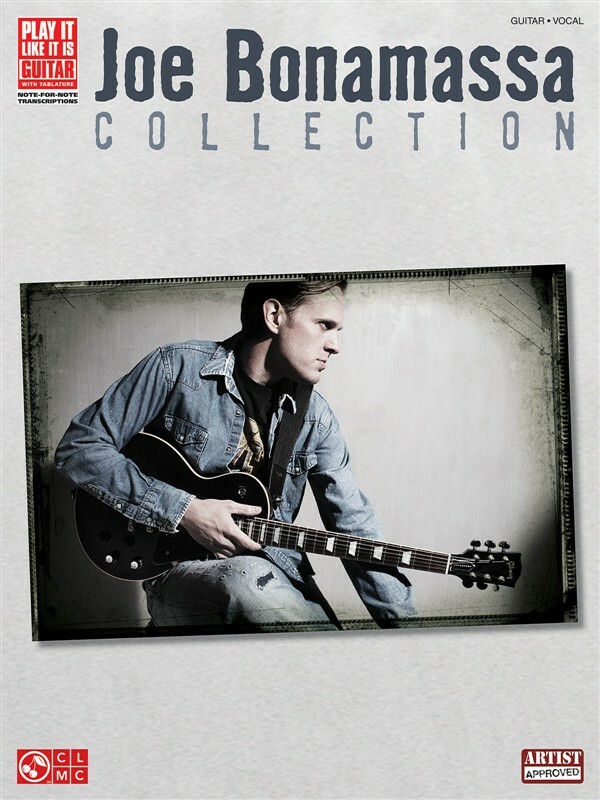 It features 13 songs recorded live in concert on the artist’s 2007 North American tour - at shows like the one at New York’s Westhampton Beach Performing Arts Center reviewed by Lon S. Cohen: "In a thousand years, when archeologists dig out Joe Bonamassa’s guitar from the strata of the earth, it will still be smoking... He holds the guitar like a shotgun but what comes out of it is poetry, color, and a story is told in notes." A review of a show at Alexandria, VA’s Birchmere drew similar sentiments from writer Paul Roy on blogcritics.org: "I have flirted with the opinion that Bonamassa may be the overall best guitarist on the planet these days, and after seeing him perform live again... I am now totally comfortable with that opinion. He is simply mesmerizing to watch." Bonamassa circles the globe playing an average of 200 shows a year, and his mind-blowing guitar wizardry and electrifying stage presence are selling out progressively larger venues all the time. The OC Register’s Robert Kinsler has written, "Whether in a club or outdoors at a festival, something magnetic happens when Bonamassa steps to the front of the stage, leans his head back and simply lets loose." Ongoing journeyman touring is a given, and looking beyond Black Rock, Bonamassa will continue his recording collaboration with producer Kevin Shirley, who says, "It’s great working with Joe and seeing him enjoy the discovery of all these places he can go. He’s an artist who can play anything, there are so many facets to him." Bonamassa adds, "Kevin comes up with fantastic ideas outside the box. He appreciates the blues, but pushes me, the only person besides Tom Dowd who’s done that." On top of touring, recording and overseeing the independent label J&R Adventures with his entrepreneurial partner and manager Roy Weisman, Bonamassa is a spokesperson for the Blues Foundation’s respected Blues In The Schools program, volunteering his time during tours to speak with groups of high school students about the heritage of blues music - the first pure American music form. Recently, he was chosen by Channel One, the largest in-school news network, to host an ongoing segment called "Know Your Roots with Joe Bonamassa" in which he traces the musical roots of Channel One’s weekly "Hear It Now" featured artist. And, 2010 has already started with a bang - Guitar World dubbed Bonamassa "The Blues Rock Titan" and his song, "Lonesome Road Blues," is a part of Guitar Hero V’s New Blues Masters Track Pack. Keeping with his blues roots but fluently moving between rock n’ roll and international sounds, 2010 is not only a new decade but a new era for Bonamassa. CHORDS. 200 pagine con un sistema per trovare il nome dell'accordo. Per ogni disegno è scritto anche l'intervallo di tutte le note che formano l'accordo, molto importante per i chitarristi. Con il primo, secondo e terzo rivolto, con la tonica sulla sesta, quinta e quarta corda. Tutti i raggruppamneti di settima maggiore, settima minori, dominante TAB. This book allows you to find any chord quickly and easily. Each chord is displayed on every possible string from the lowest to the highest with numerous voicing options. The unique Chord-Finder System is included on every page to help you locate the specific root you need, which allows for instant transposition and visualization. 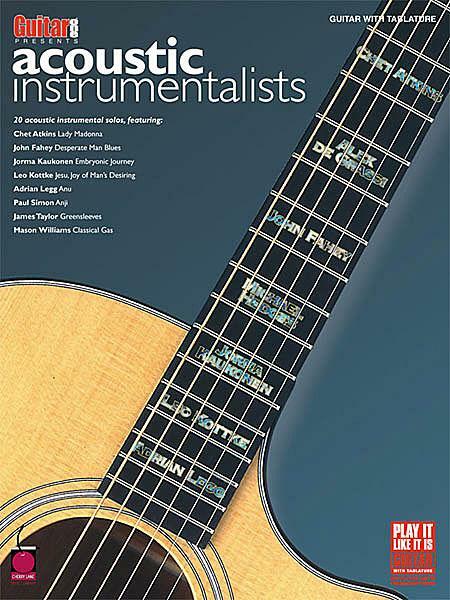 This is the ideal book for beginners seeking a well-organized, easy-to-follow guide to last a lifetime, and for professionals who need a reference of chords for every possible musical situation. 208 pages. GUITARONE PRESENTS LESSON LAB, The Best of 1995-2000. 20 Lezioni della rivista su: scale, accordi, teoria, tecnica e altro. CD TAB. Are your guitar experiments at a standstill? Has your musical research reached an impasse? Step into Guitar One's "Lesson Lab," where new breakthroughs happen every day! This top-notch book/CD pack features 24 great lessons from the pages of Guitar One magazine's most popular department. Tackle in detail a variety of pertinent music- and guitar-related subjects, such as scales, chords, modes, tones, theory, guitar technique, songwriting, recording and so much more! 176 pages. 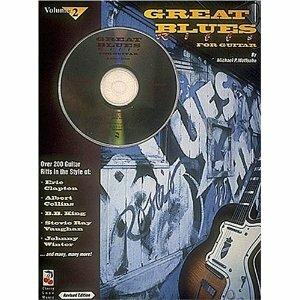 GREAT BLUES RIFFS VOLUME 2. CD TAB. Another highly influential player to emerge in the 1950s was the immortal Albert Collins. small ensembles and larger, horn-driven groups alike. assimilation and financial success in the "white" world-both began to view the blues with scorn.